Perhaps I purchased this record because I am currently mustachioed, but something about it spoke to me. I have to admit that it is pretty fun too. Also, a little bit of trivia, the drummer on this record (Steve Missal) played drums on "White Wedding". Somebody had to, didn't they? 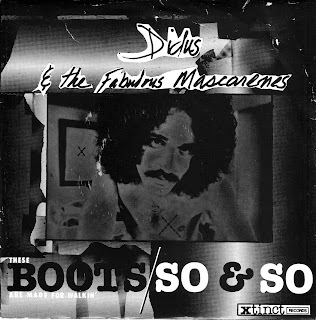 Ladies and gentlemen, for your listening pleasure, Didus & The Fabulous Mascarenes.